Join Godiva's Rewards Club for FREE Chocolate & More! When you join Godiva’s Reward Program you will receive great offers like free standard shipping on one online order, a free gift when you spend $20 and exclusive offers every month! The best part is you will receive a free piece of chocolate EVERY month! 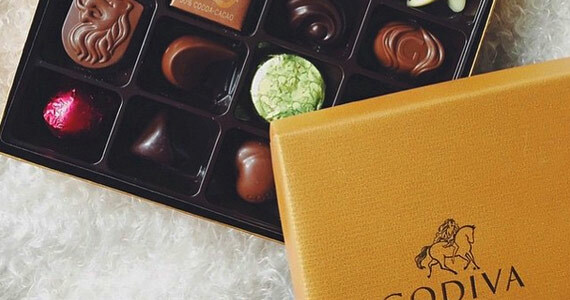 How To Join: Follow the link below to the Godiva site. Hit register today, fill out the form and you will start receiving exclusive offers!